MOSCOW, February 07. /ITAR-TASS/. 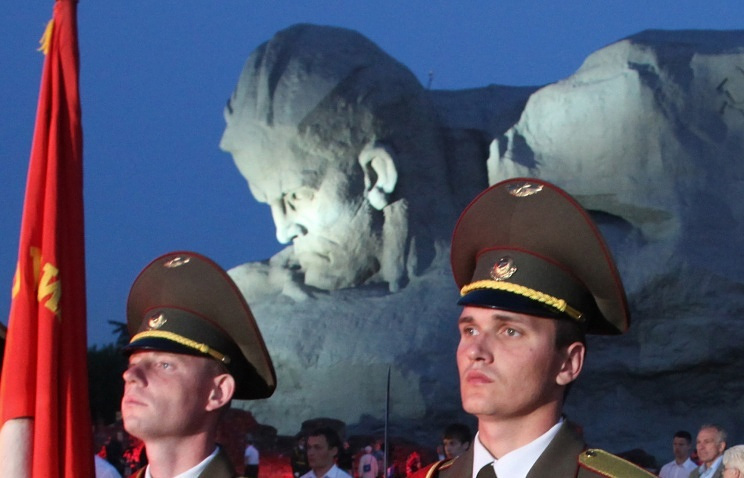 The Russian Foreign Ministry summoned Phil Black, the chief of CNN’s Moscow bureau, on Friday to explain that CNN’s inclusion of the WWII Courage memorial in the Brest Fortress in the list of “the world’s ugliest monuments” was inadmissible. “It was noted that mockery at the memory of Soviet soldiers who gave their lives for victory over fascism could not be forgiven or justified,” the ministry went on to say. Phil Black apologized for the incident. 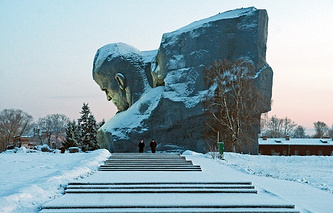 The CNN’s action has caused a wave of indignation in Russia and Belarus where the memory of WWII is sacred. 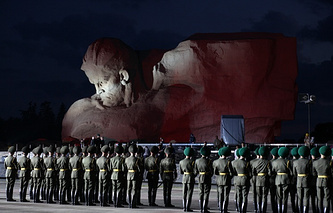 Despite the tide of time, the theme is so sensitive and emotional that even humorous attacks on the war’s monumental symbols are doomed to get an emotional and ideological rebuff in Russia and Belarus, Alexander Chubaryan, director of the Institute of World History at the Russian Academy of Sciences, said commenting on CNN’ inclusion of the Courage monument in the Brest Fortress in its list of “world’s ugliest monuments”. “Our peoples went through terrible hardships during World War II. They carried its main burden on their shoulders and suffered the biggest losses,” the academician went on to say. “The war memories are still alive in Russia not only among veterans. The theme has been urgent for all the subsequent generations. That is why any attempts to tarnish the memory of the Great Patriotic War, even if just architecture is in question, are perceived as an ideological rejection of our history and our victory and will also meet an emotional and ideological rebuff,” Chubaryan went on to say. If the CNN journalists did not really have any ill intentions and did not have it in mind to insult or mock anybody, then it means that they regard WWII as a matter of distant past which no longer has any emotional connotations, Academician Chubaryan said as he tried to explain CNN’s behavior. “They took just one architectural aspect and gave an assessment to it without thinking what such monuments can symbolize,” Chubaryan emphasized. According to him, the memorial’s architecture reflects the artistic preferences of a certain historical period. However, its role of a symbol that remains a reminder of that terrible war is much more important. “As a rule, monuments do not mirror real-life events, including those from WWII. Most of them were created as symbols straight from start and will always preserve this role,” Academician Chubaryan said. When Germany invaded the Soviet Union in June 1941, Soviet soldiers defended Brest Fortress against the Nazi invaders during the first days of the war. They held out longer than expected. 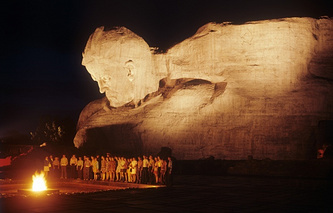 Since them, the Fortress has been a symbol of Soviet resistance and was granted the Hero title in 1965. After a squall of criticism, CNN offered its apologies. “We understand that the inclusion of the Brest Hero-Fortress in this article form a contributor has caused offense in Belarus and Russia. This was unintended and we apologize. The article was intended to be a light-hearted look at monumental architecture worldwide. CNN recognizes that the monument is of solemn significance to many people honoring the sacrifice of soldiers,” the TV broadcaster said. However, even that has failed to bring down a wave of criticism for showing disrespect for the feelings of Russian and Belarusian peoples.